We had company during the Christmas break. Dog company, that is. Miller and Jengo spent a week at the Miller Dog Hotel. Things went remarkably well considering the dogs outnumbered the people. Tucker was even happy to share his toys with Jengo who, as a puppy, is destructive. The beloved orange jingle ball lost its jingle. Holes were chewed in the barbell toy making it a choking hazard for the other dogs. We had talked about replacing the toys for months. Now we had no choice. 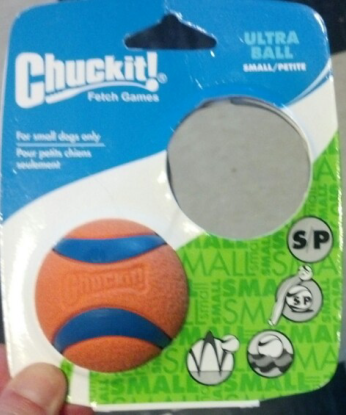 When Rachel was home from college last weekend, we took Tucker to our local pet store to get a new ball and toy. He was more excited about all the other dogs in the store than the toys, of which there were many (dogs and toys that is). We eliminated anything that made an obnoxious noise or was made of fabric. We settled on a purple barbell toy that has completely replaced the old one. It does make a noise but only if you squeeze it or it bounces just right. Tucker loves it. He will run and fetch it more times that I am willing to throw it. Being purple, it is easy to spot when he leaves it outside. We also found an orange ball. It doesn’t jingle but it is the same size as his old one so Tucker can carry it around. The best part is it came in a package of two. So now we have a BUB – back up ball – just in case!